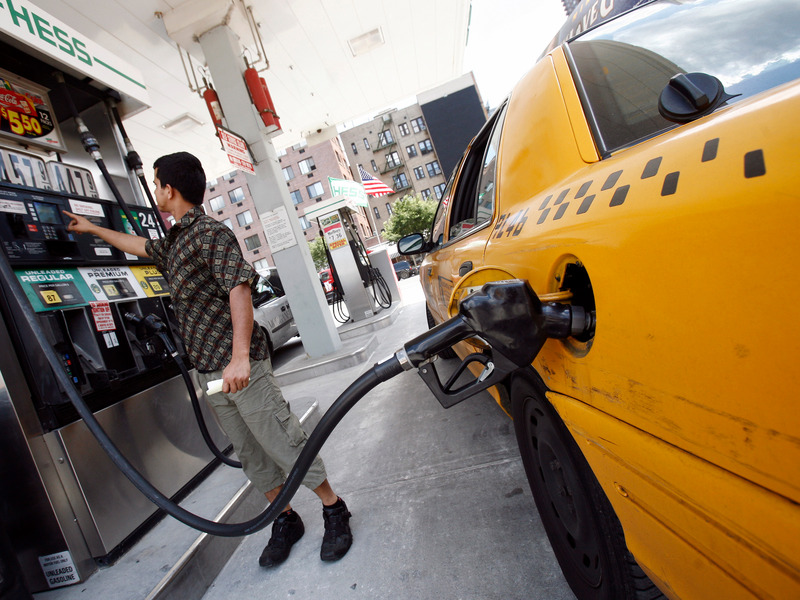 Gasoline prices surged Wednesday, one day after President Donald Trump said on Twitter that they were so low that they were like a tax cut. RBOB gasoline rose 4.88% to $1.3652 a gallon on Wednesday, one day after President Donald Trump compared falling gas prices to a tax cut. RBOB prices have fallen nearly 40% in three months amid a supply glut and similar sell-off in crude oil. West Texas Intermediate crude oil was trading at about $47 a barrel on Wednesday, up over 3%. The rallies in RBOB gasoline and crude oil were catalyzed by traders betting that the OPEC cartel of oil producers would announce larger production cuts than originally anticipated, said Bob Iaccino, the chief market strategist at the Chicago-based Path Trading Partners. Phil Streible, a senior market strategist at RJO Futures, a Chicago-based commodity futures brokerage, said investors could see prices rise from here. “We could see a surge in gas prices with unseasonably warm weather predicted in January and lack of snow which is encouraging people to drive more,” Streible told Business Insider in an email. Meanwhile, the latest GasBuddy fuel outlook released Wednesday projects that 2019 US gasoline prices on average will be $0.03 lower than last year’s at $2.70 a gallon. Still, GasBuddy says the national retail average could jump to a “possible peak in May” to over $3 before falling into year-end. Others say a severe drop in oil prices has overstated fears around global growth. “Oil today is playing out the narrative of the correlation between stocks and oil,” Jeff Kilburg, the CEO of KKM Financial, told Business Insider, adding that he expects a retest of of above $50 a barrel in January.